The award is part of a series of gifts left to the University of Saskatchewan by Betty and her late husband, W. Murray Riddell. The Betty Corrine Riddell and W. Murray Riddell (Post) Graduate Pharmacy Award will recognize the academic and leadership abilities of a student who has completed a pharmacy degree at the U of S and intends to pursue a clinical pharmacy graduate degree, also at the U of S. Preference will be given to those with a research interest in oncology. While Betty’s career began in community pharmacy, she moved to Lethbridge, Alberta in 1950 to become Director of Pharmacy at Galt Hospital and later at Lethbridge Municipal Hospital. In 1959, she joined the staff of the Department of Pharmaceutical Services, Royal University Hospital, and served in various positions, including Director of the hospital's pharmacy residency program. In addition to her responsibilities at RUH, in 1974, she was appointed Clinical Assistant Professor of Pharmacy at the University of Saskatchewan, a position she held until her retirement in 1993. 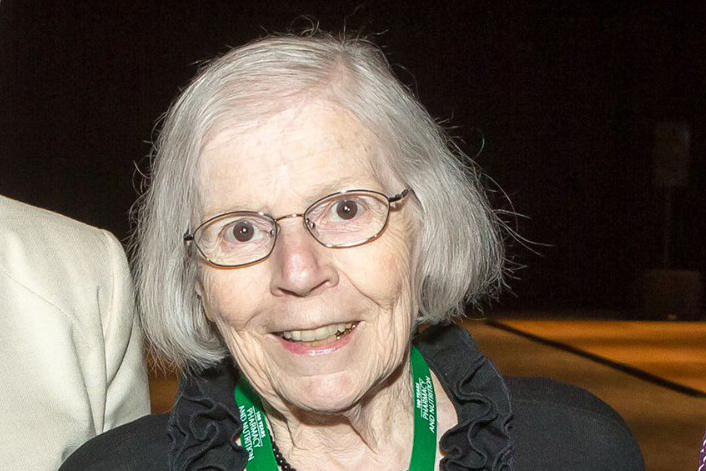 Betty contributed to the pharmacy profession throughout her career and her long list of accomplishments earned her the respect and admiration of her colleagues. Betty was an Honorary Life Member of the Saskatchewan College of Pharmacy Professionals and she also received an Honorary Life Membership in Canadian Pharmacists Association. 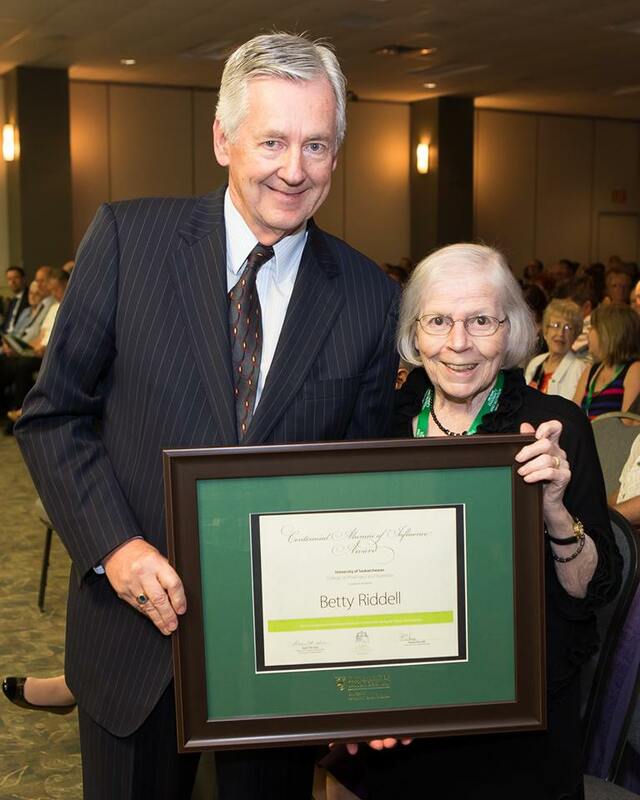 In 2014, Betty was a recipient of the Centennial Alumni of Influence Award from the College of Pharmacy and Nutrition. Betty passed away peacefully in her home in Saskatoon on December 19, 2016. She was predeceased by her husband, Murray Riddell; parents, Mary and Robert Welcher; brother, Ken Welcher; sister-in-law, Ruth Welcher; and brother-in-law, Alex Frazer. She is survived by her sister, Shirley Frazer; brother, Bill Welcher; sister-in-law, Marilyn Welcher; nieces and nephews and their families. Betty’s full obituary can be read here.